The comics do it.. So why not the show.. Yes. 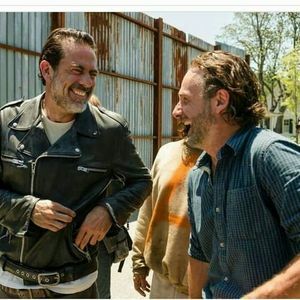 Negan and Rick become best friends! There is always a need for sarcasm. Pretty sure TV Negan will end up like his comic counterpart. Even if he stays as the leader of the Saviors when the Whisperers arrive, for sure he will make an alliance with Rick's group (albeit an uneasy one) to take on the bigger threat. So far everything involving Negan in the tv Показать is identical to the graphic novels. I don't see why it wouldn't continue down that path with him becoming еще sympathetic like he did in the graphic novels. We'll get there eventually, he only just appeared on the show, so it won't happen right now.